The Schedule of rates for the facilities are set by the Australian Government Department of Human Services and are adjusted periodically. The current rates can be obtained from the Director of Care Services or Administration. Accounts are mailed on a calendar month basis and payment of ‘fees in advance’ is required. For security reasons only cheque, money order or direct debit can be used to pay accounts. Cash cannot be accepted. 1. Where the relocation within the Home is in the interest of resident care. 2. Where there is a continual deficiency in meeting the minimum resident contribution fee. 3. Where the condition of the resident is such that accommodation at the Home may prove injurious to the resident, other residents or to staff. Note: Such action will only be taken subsequent to communication with the resident and/or representative, the resident’s health practitioner and other parties involved in determining a satisfactory resolution. All assistance will be given to find more appropriate accommodation befitting the residents medical needs. Where possible at least two weeks notice will be given. This action will not be taken without thorough investigation into the cause and should you feel that you have been unfairly treated, your avenues of appeal are through The Aged Care Complaints Resolution. Visitors are welcome to visit at any time however we would like to point out that between 6am and 10am resident care and organisation of the daily activities are at the maximum. We do ask that at this time you give due consideration to all residents’ rights to privacy, and allow the Nursing Staff to carry out their duties. Young children are very welcome to visit with the supervision of an adult. Visitors are required to sign in on arrival and sign out on departure. Martyn Claver Aged Care is secured at specific times over a 24 hour period for the safety of residents & employees. Visitors will be advised at the service of the security procedure. Please phone Martyn Claver AgedCareif requiring entry after dusk and before dawn. Residents are encouraged to enjoy activities outside Martyn Claver Aged Care with family or friend participation. The Department of Human Services allows residents to leave the Home for a total period of 52 days of overnight leaveper financial year for Social Leave without the loss of Australian Government Benefits. Residents’ daily fees apply while on social leave. These 52 days can be taken in long or short periods, and must include an overnight period to be counted as leave. Residents who are Respite Admissions are not permitted any overnight social leave or overnight hospital leave under the present guidelines of theAustralian Government Department of Human Services. Interpreters may be accessed for residents and relatives who require assistance and can link with ethnic community groups if necessary. Some of our staff are multi-lingual and are available to assist when required. 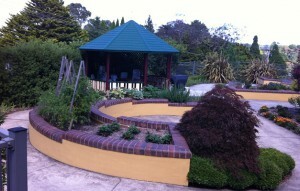 The residents’ meetings are convened on a regular basis at Martyn Claver Aged Care. Residents and their relatives are encouraged to participate in the discussions regarding activities, social outings and policy making. New residents and their families are invited to attend these meetings. A timetable is provided by the Activity staff and residents/relatives are notified in advance of each meeting date. Martyn Claver Aged Care has a policy regarding personal furnishings of residents in adhering to occupational health and safety of residents and staff. Management will advise the resident on admission, of the acceptable practice. All electrical equipment owned by the resident must be tagged as “safe for use” by a qualified electrician before it can be used in the Facility. Such personal appliances must be checked at a cost to the resident. A minimum of personal furniture items may be accepted on admission. Such will be at the discretion and decision of management with an emphasis on Work Health & Safety at all times. Dentures, glasses, hearing aids and other personal aids should be clearly marked prior to admission. Unless Doctors’ orders state otherwise, residents may have alcohol if they wish. It is very important however, that it be dispensed only by designated staff and be taken in moderation. Relatives are requested not to leave alcohol with residents. Alcohol must be kept in a locked area of the home. A telephone (the pay phone service) is available for the use of residents and visitors. Coins are required to use this phone for outgoing calls. Alternatively the resident may choose to install a private phone in his/her room. The cost of installation, maintenance, rental and service fees are incurred by the resident. Mobile phones are permitted, however no responsibility will be taken for loss or damage. Basic toiletries are provided by Martyn Claver Aged Care , however should you wish to purchase your own special brands etc. the cost will be incurred by the resident. Do not supply talcum powder or soapas it may cause a slippery surface creating a falls risk. We request that all items be clearly labelled with the resident’s name. Rooms are furnished by Martyn Claver Aged Care . Large personal furniture items are not permitted in residents rooms. Small items must be risk assessed and may be required to be fitted with wheels or castors. Martyn Claver Aged Care requests that all visitors abide by the W H & S policies and procedures and follow advice and instruction while on the premises. Martyn Claver Aged Care advises that as a visitor you may refer matters of concern to the Quality Committee. You can raise a concern through writing, by telephone, by email, or personally with a staff member or management.